When you are missing multiple teeth, many daily activities become challenging such as eating and chewing the healthy foods you would normally enjoy. Talking and smiling at other people may feel embarrassing because of your missing teeth. Did you know that you’re also at risk for more tooth loss? This is because your jawbone begins to lose density without roots to support, which eventually eliminates reinforcement for your remaining teeth. Your team at East Islip Dental Care has solutions for you, and here’s how dental bridges in Bay Shore may be able to help. A dental bridge is ideal for replacing multiple adjacent missing teeth. It utilizes porcelain crowns as anchors with prosthetic teeth attached that are designed to fill in the gap left by your missing teeth. We’ll customize your bridge so that it matches your existing teeth and naturally complements your smile. Getting a dental bridge typically takes two appointments and 2-3 weeks to complete. In some cases your dentist in Bay Shore may recommend dental implants to be the anchors and support for your prosthetic teeth. Dental implants can be strategically placed to support the replacement of multiple missing teeth with a dental bridge. Implant supported bridges typically offer more longevity since they’re replacing both your natural root and your tooth and they’re supporting the health of your bone. This is a great way for patients with multiple missing teeth to restore function, beauty, and longevity to their smile. If you’re living with multiple missing teeth, the important thing is not to lose hope. The first step is to contact our office and meet with one of our highly skilled doctors to learn more about the possibilities and options for your teeth. We’ll perform a thorough examination, x-rays, and we’ll take the time to discuss your needs and goals for your smile with you. If a dental bridge is not the right treatment for your needs, our doctors are happy to discuss other treatment options that may suit you. Our goal is to help you achieve and then maintain a healthy and beautiful smile that will last you a lifetime. 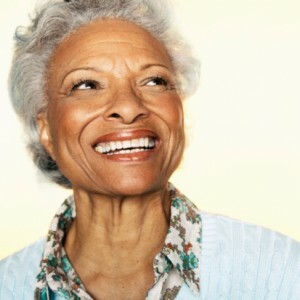 Don’t let missing teeth keep you from living the life you deserve any longer! Contact East Islip Dental Care today to schedule your consultation.